Join Branson Ticket & Travel for Jim Belushi & The Chicago Board of Comedy Live in Branson, Missouri. Jim Belushi and the Chicago board of Comedy and Branson Ticket & Travel join the 2013 Star Line Up at the Oak Ridge Boys Theatre. With more than thirty years of experience and an alumnus of “Saturday Night Live” and Chicago’s famed Second City, Jim Belushi is now bringing to the stage an improvised comedy sketch show featuring members of the Chicago Board of Comedy. 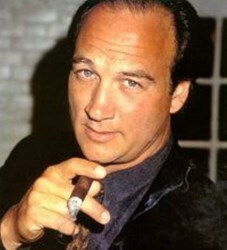 Belushi starred on the ABC hit comedy "According to Jim,” on which he also served as executive producer, music composer and director. After wrapping 182 episodes for its eighth and final season, the family favorite series also hit a milestone when it launched into off-net syndication in 2007. A favorite of film, television and stage audiences, Belushi is one of the great leading character actors equally at home in drama and comedy, and a gifted performer who can also hold a room as front man of a rhythm and blues band. To request a free Branson vacation planner & showguide click here or call 1-800-432-4202. Accompanying Belushi are Robert Belushi, Larry Joe Campbell, Jon Barinholtz, and Brad Morris, all of whom are classically trained professional improvisers who tour regularly nationwide. *Supporting cast may be subject to availability. “We believe this type of comedy will excite audiences of all ages and offers a familiar face to encourage guest to visit our area and experience the great entertainment we offer as a community.” Larry Wilhite, General Manager. Jim Belushi and the Chicago board of comedy will appear at the Oak Ridge Boys Theatre in Branson, MO on October 25th , 2013. Tickets go on sale Wednesday, May 29th.